The standard-gauge Alaska Railroad Seward - Anchorage - Fairbanks was completed in 1923. 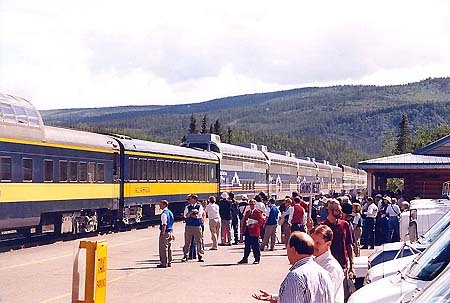 During season there are running yellow/dark-blue tourist trains. 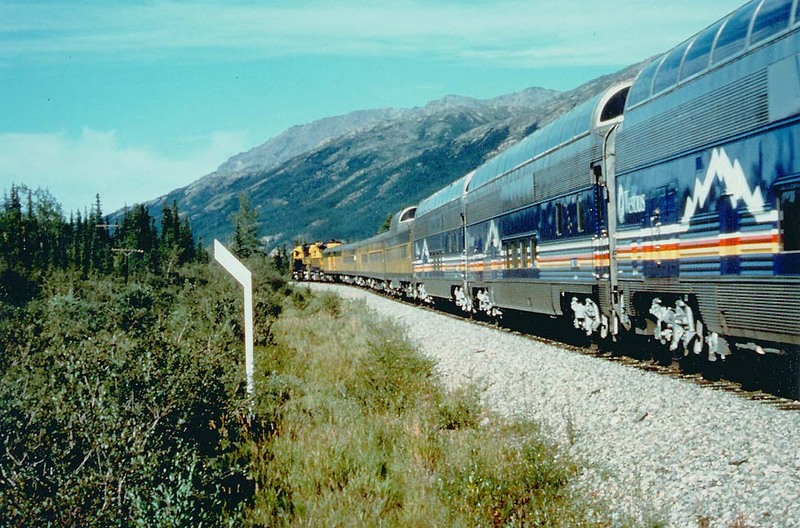 Then stainless second-hand full-length dome cars were introduced, running for Westours, from 1971 a subsidiary of Holland America Line, conveying cruise passengers. 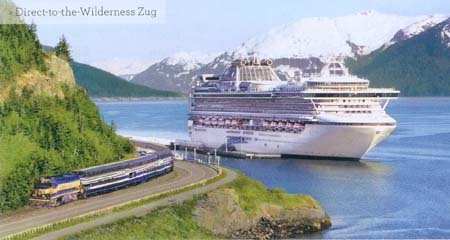 Under the label Wilderness Express, rebuilt bi-level cars were added for Royal Caribbean International cruise passengers. The nice GM/EMD F diesels however have gone. 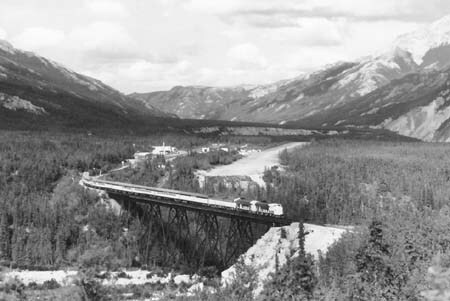 The British Columbia Railway in Canada connected only with the Alaska Highway. The “Whistler Mountaineer“ was created in 2006 as a tourist attraction. 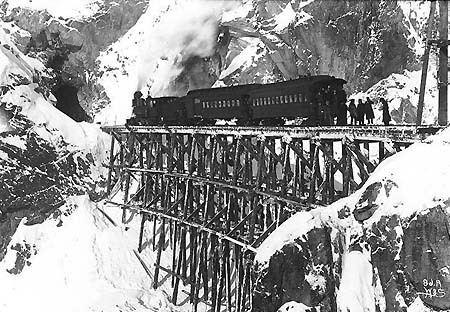 Also the 3ft-gauge White Pass & Yukon Railway was important only for the Alaska Highway, used by the U.S. Military Railway Service during WWII. 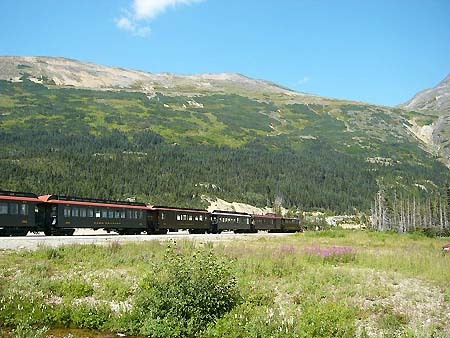 Now cruise ships are coming to its starting-point Skagway and steam excursions for tourists are offered. 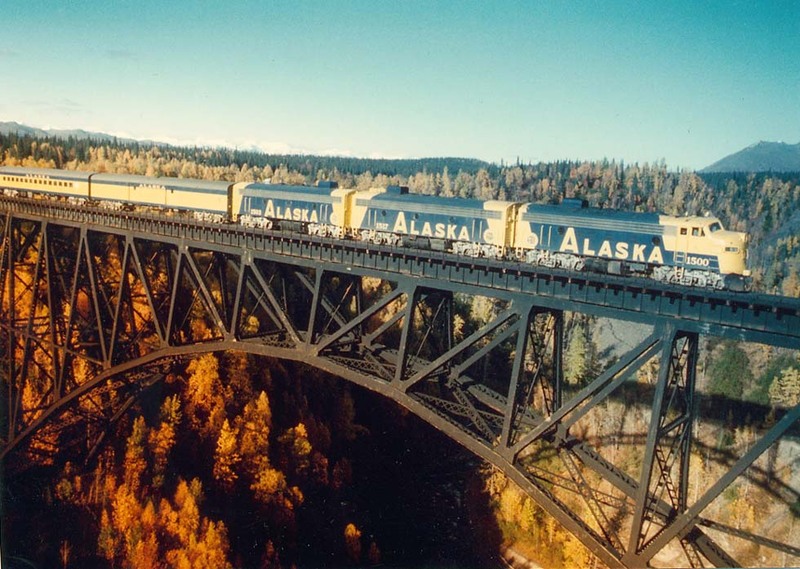 The Bering Strait tunnel projects were a matter of science fiction only.